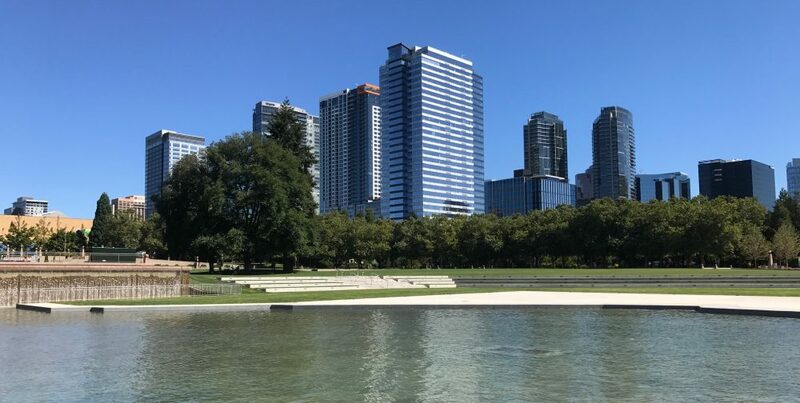 The City of Bellevue is one of several cities selected to work with the National Institute of Standards and Technology (NIST) Global City Teams Challenge as a lead city in Smart City design in the US. The White House announced in September that Bellevue had been selected to work with NIST, its collaborators and other community and technology partners to develop a pilot Smart City dashboard, a citywide digital platform that would better connect its systems, departments, employees and residents. The dashboard would allow for making better use of existing data and gathering new data for future planning and provide the city with greater effectiveness and efficiency in operating individual departments and communicating across departments (integrating smart lighting, parking, water and other systems). The Smart City program would eventually be available to all cities allowing them to replicate the online tool for improved service delivery. Bellevue also received one of our Replicable Smart City Technologies grants from NIST that enables 11 cities and communities to work together on innovative smart city solutions. As Bellevue continues to grow citywide systems and services must continue to improve to meet the needs and demands of a growing population. Bellevue is committed to becoming a leader in Smart City design and implementation in its effort to enhance the daily lives of its residents, businesses, employees and visitors. Other lead cities in the White House Smart Cities program include Atlanta, GA, Columbus OH, Kansas City, KS, Kansas City, MO, Newport News, VA and Portland OR. For more information on the Smart Cities project visit the City of Bellevue website at www.ci.bellevue.wa.us. This entry was posted in business, lifestyle, livability and tagged business, energy, Smart Cities, technology by Robin Myers. Bookmark the permalink.